There’s no doubt that Asia has been growing in terms of sport and, with that, sponsorship as well. It would seem that lately, however, that there is a continued trend towards major events being hosted in Asia. Further, we are starting to see more Asian brands sponsoring large events, outside of their home markets, such as China’s 1573 sponsoring the Australian Open and China’s Mengniu Dairy sponsoring the FIFA World Cup. Joining us to discuss sponsorship in Asia is Adam Hodge, Head of Planning & Strategy [APAC] at Octagon. You can connect with Adam on LinkedIn and find out more about Octagon on their website. 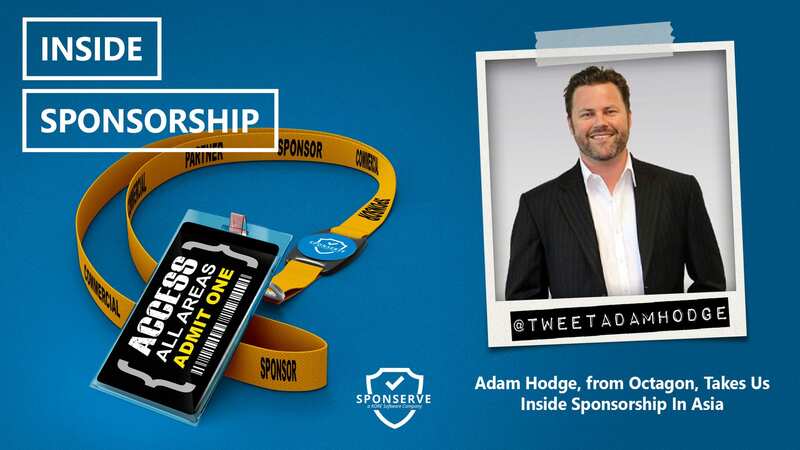 Also joining us on the show is Daniel Ferguson-Hill, SponServe’s Commercial Manager for Australasia, who has taken a look and blogged about the five trends in sponsorship that we’re are not talking about.